The flatware of the 124 pieces cutlery set Squadro Guy Degrenne can be characterized by its contemporary design which reminds us of the Art Déco period and by its exceptional elegance. The authentic lines, the geometrical shapes and their exceptional resistance as they are are made of 18/10 stainless steel make these cutleries a must during the service of tasty meals. 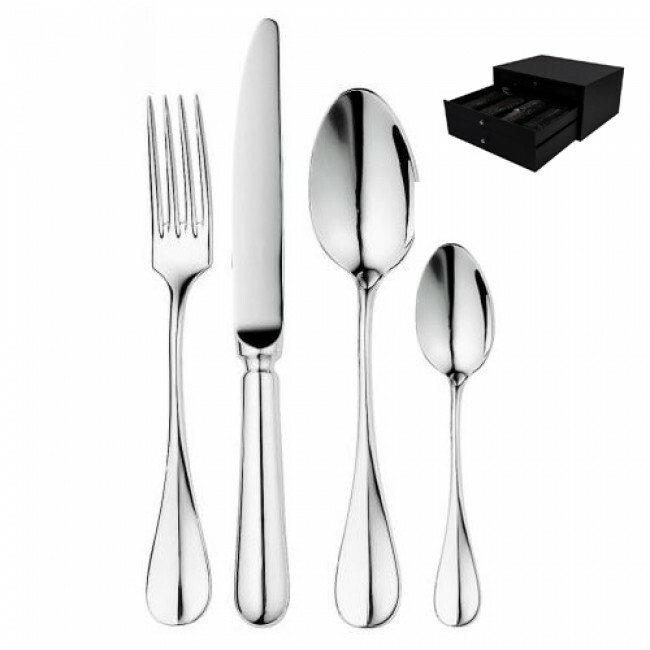 This 124 pieces cutlery set will be ideal for special occasions with family or friends. The 18/10 stainless steel 124 pieces cutlery Squadro Guy Degrenne comprises of a wooden cutlery box for 120 to 127 pieces.